A successful entrepreneur, C. L. Mersch met Apollo 14 astronaut Dr. Edgar Mitchell on a business trip in 1975. During their friendship of more than thirty years, Mersch learned that on February 5, 1971, Mitchell landed the first Bible on the moon onboard the Apollo 14 lunar module Anteres. Intrigued, inspired, and intent on discovering the background of the story, Mersch embarked on years of research and interviews, unearthing a rich cornucopia of events which, combined in this narrative, yield one of the most inspiring sagas ever written about the Apollo Program. For more information visit www.carolmersch.com. The Apostles of Apollo was written by C. L. Mersch in cooperation with Apollo 14 astronaut Navy Captain Dr. Edgar D. Mitchell and Reverend John M. Stout, NASA industrial chaplain and director of the Apollo Prayer League. 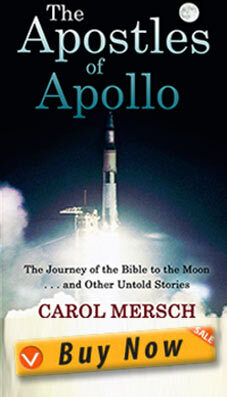 Mersch’s friendship with Mitchell spans over thirty years and afforded her access to information and details surrounding the personal quest of Apollo astronauts and NASA personnel to carry a Bible to the Moon. A graduate of Oklahoma State University with a B.S. in Business and an undergraduate pre-law, Mersch is a successful entrepreneur who built three computer software companies. The businesses were sold in 1999, which afforded Mersch the opportunity to pursue a passion for writing. Mersch has published five books and authored numerous articles for national trade publications. She developed an IT strategy publication utilized by leading US corporations and local governments and has served at the executive level of several major corporations. 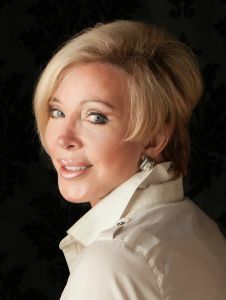 A successful entrepreneur with numerous community and national awards, Mersch has been listed in “Who’s Who in Finance and Industry” and “Who’s Who in Science and Engineering. In 1999 she was featured in the NY Times for her extraordinary efforts in developing leading-edge business technology in the Midwest. In late 2005, Mersch’s friendship with Edgar Mitchell led her to the discovery that in February 1971, Mitchell had landed the first Bible on the surface of the moon on board Apollo 14 lunar module Anteres. The full text of the 1254-page King James Bible was contained on a single microfilm the size of a color slide. This began a five-year effort by Mersch to piece together the story of the first lunar Bible, along with the stories of the men who, while risking their lives in exploration of the cosmos, wove into that journey the fabric of their faith. Apollo 14, she learned, was not the first mission to attempt to land the Bible on the moon. The lunar Bible made the voyage to the moon on two previous missions, Apollo 12 and Apollo 13, but failed to land on the lunar surface. In February 1971 Mitchell succeeded in landing the lunar Bible on the moon. Reverend John Stout, however, was the driving force behind that quest. Although Reverend Stout was reported to have died in 2007, Mersch eventually located the 86-year-old pastor living outside of Houston with Helen, his wife of 66 years. 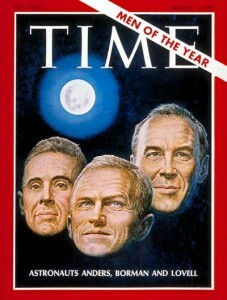 The Stouts’ recollections, along with those of Mitchell, other astronauts, mission controllers, their families, and friends, contributed a level of richness and detail to the story of the First Lunar Bible and numerous other events that unfolded behind the scenes as Apollo astronauts took Americans and the entire world on a ride to the moon. 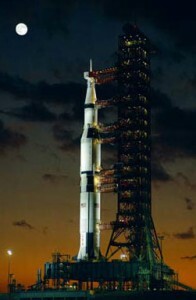 Spaceflight Magazine 12-2011 – “On the wings of Apollo” by Dwight Williams, Spaceflight Magazine, December, 2011. Please click Magazine name to view this Article in .pdf format.